Meyocks, who is a 3rd generation horseman, has worked within the thoroughbred industry since he graduated from Loras College in 1972. In early 2007, prior to becoming the National Manager of the Guild, Meyocks was a founding shareholder in Meyocks & O’Hara Racing Enterprises, Inc. (MORE) with Philip O’Hara. The Company was formed to pursue acquisitions within the racing industry and provide project management and advisory services. In April, 2004 Meyocks was named special assistant to the commissioner of the National Thoroughbred Racing Association (NTRA) and later served as Vice-President for the NTRA Racing & Industry Memberships. Meyocks was named President and Chief Operating Officer of New York Racing Association in December, 1996 and remained in that position until the fall of 2003 and then remained with NYRA until April, 2004. 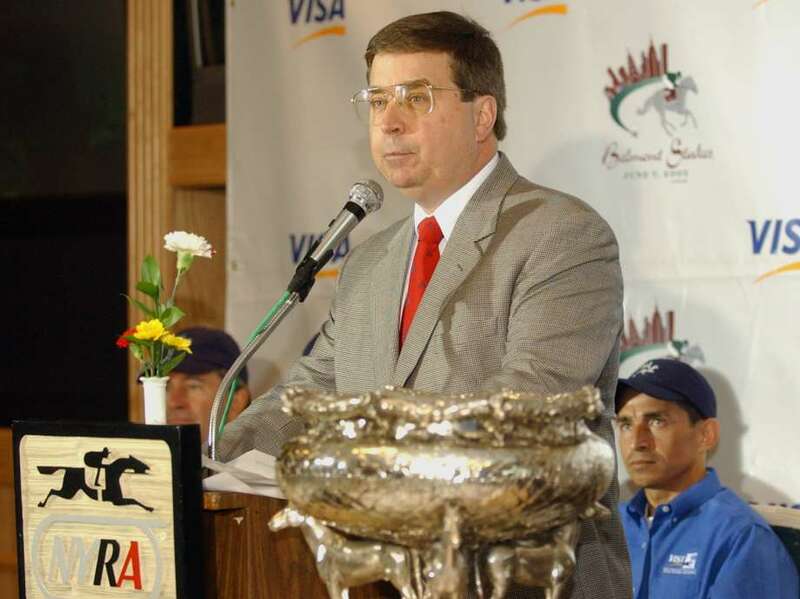 In 1993, Meyocks was hired by New York Racing Association as Vice-President of Racing and stayed in that position until October, 1995 when he became Vice-President of Operations. Meyocks, in 1979, was hired as racing secretary for Calder Race Course. Then in 1991 was hired at Gulfstream Park to become Director of Racing and Meyocks stayed at both race tracks until 1993. Prior to becoming racing secretary at Calder Race Course, Meyocks worked in all capacities in the racing department at various meetings for many of the renowned race tracks in the country including Keeneland, Oaklawn Park, Arlington Park, Hawthorne, Churchill Downs, Hialeah Park, Delaware and Liberty Bell. Meyocks was born in Chicago, Illinois and is the son of respected jockey agent Paul Blair Meyocks, who worked for Hall Of Fame jockey Earlie Fires for over twenty eight years. Paul Meyocks also worked for many prominent jockeys that included Steve Cauthen, Herbie Hinojosa, Ray York, Johnny Heckmann and Wendall Eads among others. Terry Meyocks currently resides in Lexington, Ky., with his wife, Stacy, and they have three children, Abby, Kevin and Clay. Abby is married to jockey Javier Castellano and they have three children, Kayla, Sienna, and Brady. Kevin, a jockey agent, is married to Kristen and they have two children, Ryan and Andrew. Clay works for Delaware Park.